Don’t get left out of the Twitter conversation! Tweet, tweet! Are you on Twitter yet? I have been a Twitter user since 2007, so I have seen how the social network has evolved for good (and for bad). Even though Twitter has been around for almost ten years, most people still don’t know how to use Twitter. 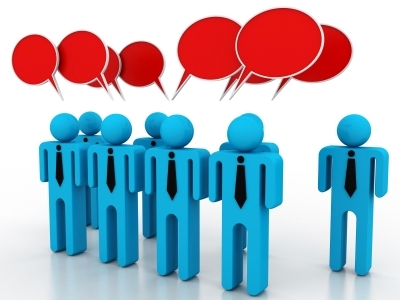 The most common question I receive from my clients is how to use Twitter properly. How DO you start using Twitter without stepping on other Twitter users’ figurative toes? Make sure all members of your organization’s marketing committee are on the same page to avoid this social media/real-life discrepancy. In June, I visited New York City with my boyfriend and co-founder, Ryan. We visited the Empire State Building (ESB) on June 19th and saw this sign (in the photo above) near the observatory entrance. Since Ryan is the visual expert between the two of us, he figured he had a chance to enter this contest and possibly win one of the grand prizes. Fast forward to yesterday, August 3rd: I did some sleuthing of the hashtag, #ESBHeartOfNYC, to see who the other contestants were. It seemed like not many people were using the hashtag, so our chances of winning were even higher. 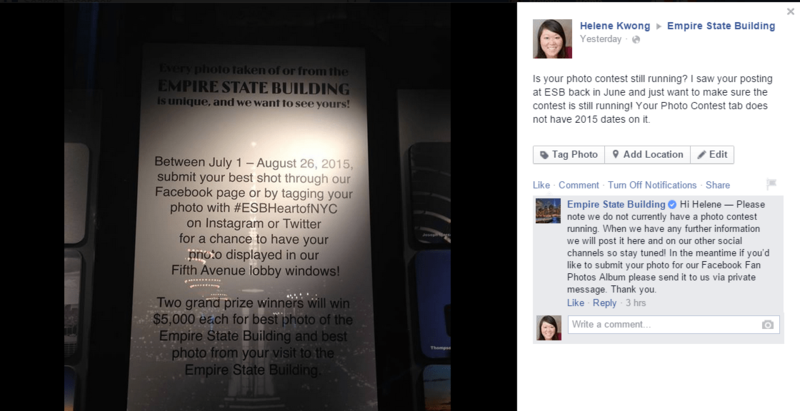 However, I found it strange that across all of the Empire State Building’s social media channels, there was no mention of this hashtag or the contest. I posted on their Facebook Page and received the response in the photo above. Then why did they have that display up at the Empire State Building?